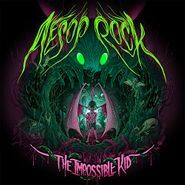 It looks like a metal band made The Impossible Kid, judging by its album cover. 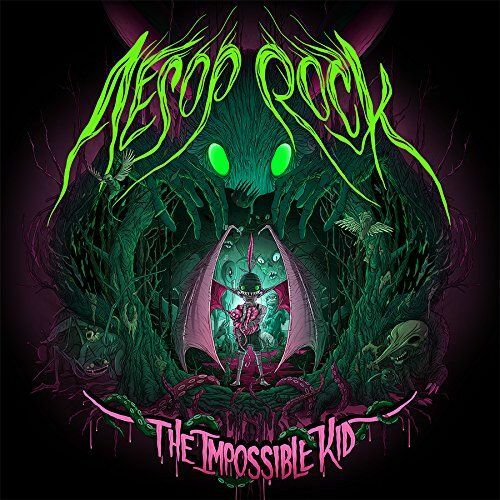 But Aesop Rock’s latest is actually one of his most intimate, as the indie-rap hero opens up about his personal life, going deep on topics like depression, family, and the turbulent years that led him to leave San Francisco to live in a barn out in the woods, where he recorded the foundations of this album. After a couple of psych-rap jams, full of electronic flutter and tightly coiled rhymes, Rock digs in with “Lotta Years,” rapping about feeling his age and reminiscing about, bumping New Edition and doing ollies. “Dorks” starts out with some of his darkest lyrics (“If I died in my apartment like a rat in a cage, would my neighbors smell my corpse before the cat ate my face?”) over a grimy guitar riff and foreboding strings. On “Blood Sandwich,” over new agey synths, he tells an endearing tale of fighting with his parents to see an industrial show, dropping references like Skinny Puppy, Peel Sessions and the Village Voice. The specificity of his lyricism combines well with dreamier than typical production as Rock’s rhymes pour out like diary entries that have been neatly cut up and refashioned into perfect cadence. While not as immediately grabbing as its predecessor, 2012’s Skelethon, The Impossible Kid’s heart-on-sleeve detail make it a stronger one.